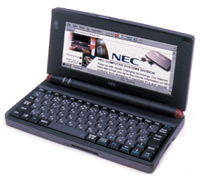 NEC has just released the MobilePro 900C which has Windows NET 4.2. See web site for details. None of the merchants they list as sellers have it on their web sites yet. There has been a raft of things I had to do both from a personal and work point of view that has meant I could not give you the daily updates for Handheld Addict this week but I am vback again. Firstly that dreaded flu has been rearing its head and I caught it full on this week and so did not have any time to update both my websites this week but I am alive and back with the live and kicking which is great really. Joel Hampton won this weeks contest, well done Joel, he has also submitted tons of little newsbytes to me as well and for that I congratulate him. 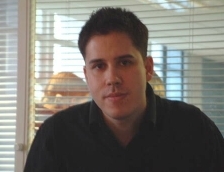 This week we will have a number of software title reviews including those from Henri Spagnolo who runs Handheld Attitude. SOFTWARE: PlanMaker for Handheld PCs is now in public beta testing. Another important step for PlanMaker 2004, the new Microsoft Excel-compatible spreadsheet: PlanMaker for Handheld PCs is now in public beta testing. Anyone can download both the Handheld PC and the Windows beta versions from the manufacturer's web site at www.softmaker.com The remaining versions, for Pocket PCs and Linux, will follow in the coming weeks. PlanMaker offers the feature set and ease-of-use of a modern high-end spreadsheet application - not only under Windows, but also under Linux and on Pocket PCs and Windows CE-based Handheld PCs. This means that PlanMaker is the only spreadsheet worldwide that is available for four different popular operating systems and offers the same feature set on all of them. One of the major design goals in PlanMaker's development was the seamless conversion of Microsoft Excel files. PlanMaker reads and writes any file from Microsoft Excel 5.0, 95, 97, 2000, Excel XP, and Excel 2003, and renders all of them faithfully. PlanMaker not only offers a vast collection of more than 320 calculation functions - including support for complex numbers, statistics, financial maths, and data analysis - but also enables the user to create attractive presentations by providing a fully Excel-compatible AutoShapes drawing engine (on all platforms, even Linux and Pocket PCs!) and a fully Microsoft Excel-compatible charting module that offers 70 different chart types in 2D and 3D - color gradients, fill patterns, and trend lines included. PlanMaker carries a suggested retail price of US$49.95 or EUR 49.95 and will be available through resellers and directly from SoftMaker. Since my HP Jornada died I have been using a NEC MP780. It is a great device but sometimes still a little big. Recently, I pulled out my Psion 5MX out to take on my travels. I was pleasantly surprised by its capabilities. I have taken for granted the battery life. What a great thing to not worry about charging for a couple of weeks. With advancing capabilties of these devices, I wish battery life would advance. Needless to say, a jornada 728 has enough battery life to keep me satisfied! And, if I am lucky enough to win, I will donate the NEC MP780 to Handheld Addict for future contests! Acrobat Reader – Although not originally designed for the Jornada the modified version works very well and is extremely useful as I have to be able to read PDF manuals at any time for my work. I’m not quite sure where to get this any more. As I am sure most of your readers know and I just figured out, the Handheld PC makes a great mobile writing platform. I am amazed by the instant on and off on a device that is the size of a mini laptop. I wrote up two quick mini-reviews on my way home from work the other day using the 780 and now that I have internet access via Infrared setup I will keep the device. I am working on a book at the moment, but I am not able to use the NEC because there are some very strict format guidelines that I have to follow that aren't available in Pocket Word or TextMaker. I have been looking for a WiFi card for the unit, but they are tough to find with Windows 2.11 drivers. If anyone has a recommendation for one that works that is available, please feel free to email me at ppcsoloATyahooDOTcom. Now that I am keeping the NEC, I'll be swinging by here at least once a day and may start trying to figure out how I can save up for a more modern Handheld PC. 1. I use the alarm clock to wake up in the morning. 2. I keep track of what I do for physical an spiritual fitness in a Pocket Excel file. 3. I use another Pocket Excel to check on the exercise routines I and my kids should be doing. 4. I sync with my appointment calendar at work. 5. I use the task list to keep track of both business and personal "to dos". 6. I keep a Pocket Access database of the books and videos my kids and I have read (separate tables for everyone!). 7. I am working on a household inventory in Pocket Access. 8. I keep a list of books I would like to read in Pocket Excel and their availability through my Public Library system. 9. I keep a list of movies that my wife and I would like to see and restaurants we would like to eat at in another Pocket Excel file. 10. I keep wishlists for the whole family to avoid buying unappreciated gifts. 11. I keep not only my own appointments, but my wife's as well. She usually doesn't appreciate hearing the alarm from the 720, but it has saved her from missing some important meetings. 12. I read many books (using Pocket Word) downloaded from Project Gutenberg. 13. I use it at work to take notes during meetings and upload the file to finish off the meeting minutes. 14. I've transferred maps to it to use on business trips. 15. I've used Avantgo to keep up to date with daily bible readings, news from various sites, and GM's PDA show room. 16. I play ICBM and backgammon regularly for relaxation. 17. When the family goes on vacation, we use a Pocket Excel file to play 50 States License Plate game (actually the workbook is NAFTA compliant - Canadian provinces and Mexican states are included). 18. When the family plays dominoes, I use Pocket Excel to keep track of the score. 19. I listen, occasionally to MP3 files. 20. I have a few books that I've read on Mobipocket and check on the news items with it, too. 21. I keep a file for each of my kids to fill with memories of funny, clever or absurd things they do. 22. I use the dictionary and thesaurus from Project Gutenberg to help solve crossword puzzles. I also use the dictionary to look up unfamiliar words in my reading projects. My wife sometimes complains that I spend more time with my HPC than with her, to which I've replied "My Jornada is ALWAYS at my side - you're not!" I'm sure others use their HPCs much more powerfully and creatively. The real reason I should win, is if I do, I will contact Clinton Fitch to send him my 720, once I receive the 728! If he has received a replacement HPC by then, I will use the 728 and keep the 720 in reserve in case he (or I) suffer another HPC death in the family! I'm really interested in the dictionary that was reviewed from Octopus Studies, but can't seem to reach the part of the website to download it. I'm also interested in putting some of my digital pictures into a slide show. I'd also like to listen to audio books on it, and eventually watch movies on it. I'd also like to use it directly connected to the internet to keep up with personal e-mail while on vacation. My recent project has been trying to interface my HP720 with a Motorola 720 (Oh the Irony) phone. I have managed to do it for data, and now I can surf the web (Albeit at 14.4K) using my cell phone and my PDA. Pretty neat. Now I've got to try to do it for faxing. I have now had the NEC MobilePro 780 for a couple days and would like to let you know how it is going with my first Handheld PC. I commute an hour each way to and from work in a vanpool and haven't been happy with the portable keyboards for my PDAs since they are tough to use on your lap. I picked up the 780 as mentioned in an earlier thought and was a bit surprised at how big it was when I first opened the package. It made sense though since the keyboard is quite large and I found very easy to use. I am very impressed by the INSTANT on and off functionality and the storage options (PC and CF). I haven't found any Bluetooth options to connect to my Nokia 3650 so I decided to try out Infrared. I tried for a couple hours and couldn't get it to work and was ready to send back the NEC since mobile GPRS connectivity is one of my requirements. I then found that my Nokia 3650 has a modem utility that had to be launched and then the connection worked fine. I haven't had to use this modem utility on my other PDAs so didn't know it was there. So now I am connected on a nice size platform at a decent speed with a large display and need to see if it can meet my mobile writing and authoring needs. By the way I am still using the free unlimited T-Mobile data plan that only blocks me from accessing secure sites. I've been a user of handhelds since I first got an HP320LX. I still have that handheld and I've always loved the functionality of it. I now have a Jornada 548 with an external keyboard and it's still not as functional or practical as the layout of the 320LX or the newer 728 that you are offering in your contest. The only reason I switched to the Jornada was to test it out and because the 320LX was becoming obsolete. I've always wanted to get back to the wide screen format with the included keyboard. I also plan to use the 728 with amateur radio on a packet network. This is a local vhf/uhf network amongst other ham radio operators with radios connected directly to their PC's. If I had the 728, I could go completely mobile. It could also be used with a GPS and be able to be tracked on the internet thru ham radio. I just thought I'd take a few moments to rejoice about my handheld. I have an Intermec 6651 that runs HPC 2000, and I love it. I use it every day and I can't imagine what I'd do without it. Since downsizing claimed my IT job in 2001, I have been working at a series of temporary jobs. I use a Pocket Excel spreadsheet to keep track of my work hours, pay rate, and employer (since I've been assigned to different companies and am enrolled with more than one temp service). I use Verizon Wireless's CDPD service (it's slow compared to a dialup connection, but it's EVERYwhere in this part of the eastern US) to connect to the internet not only at home, but just about anywhere else. Thank goodness for the imov messenger program, which continued to permit access to AIM, MSN Messenger, and Yahoo! Messenger, even when other third-party programs had ceased to connect to MSN and Yahoo. I also am the secretary for a minor-league hockey team's booster club, and I use the Intermec to record the minutes. This is when the Intermec's keyboard proves to be invaluable. I can touch-type much faster than I can write; as a result, my minutes are much more complete and accurate than they'd be if I had to rely on a PDA with a handwriting recognition program, or on good old-fashioned pen and paper, to get the job done. To be frank, the presence of a keyboard was one of my main considerations when I decided to obtain a handheld device in the first place. Even though we HPC users seem to be outnumbered by PPCers, I have never for one moment regretted my decision. Every time I make extended use of the keyboard, I'm grateful that my handheld has it. I've even installed the current version of MS Portrait on our desktop computer and on my Intermec. That means that I can transmit/receive VIDEO and AUDIO as well as employ written IMs. I hasten to add that when I use the CDPD connection, my husband can view the video I'm transmitting more easily than I can view the video he's sending. My ability to view video works better when I use the Intermec's built-in modem to establishy a dialup connection. But still... the ability to communicate via *video* and *audio* on a HANDHELD PC is something I find amazing. I can't believe that this software is available for FREE. Speaking of things I've installed on the Intermec... I have experimented with regular and optical USB mice as an alternative to relying solely on the touch screen and stylus, and I like that option very much. (I wore out the left mouse button on the optical mouse, in fact, and recently received instructions from the manufacturer on how to go about exchanging it.) I just downloaded the Bubblets game which I read about on Handheld Addict... oh, dear. I may never meet another deadline at this rate. That game is ADDICTIVE. ;o) And yesterday, I received the keyboard skin that I purchased from Image911 on eBay. I'm absolutely delighted with it! No more worrying about getting crumbs or moisture in the keyboard during booster club board meetings (which are generally held at a restaurant over dinner)! In short, I can't imagine what I did before I joined the ranks of HPC users, and I would never, ever consider going back to life without an HPC. Well the good news is that we managed to secure a Jornada 728 and a wide range of goodies to go with it for a new contest. We are going to run this one for two weeks starting today and ending on Monday 15th March at midnight US Pacific. It's in very good quality, comes with leather case and a wet suit case (just in case) a spare stylus, normal docking cradle and a HP VGA-Out PC Card. All in working condition. To enter simply send us a User Thought or Opinion, your contact details and a shiopping address should we choose you and send to us at sammymcloughlin@mac.com Please put the word HPC CONTEST exactly as shown in the subject line so my inbox can filter your entries. My interest in small, electronic devices started just prior to getting an 8-digit LED calculator about 32 years ago (I was 8 years old). I have gone through several of the early “home computers” (You know, the ones that allowed programming in BASIC and had either 32K or 64K of RAM and a cassette player as an external storage device) and worked with the early IBM PCs (XT, AT) as well as mainframes that boasted 32M of RAM. What I have enjoyed the most is the HPx00LX line (I also had a 95LX). I still have a 200LX which I have just given to my 11 year old daughter for her birthday. When I upgraded to Jornada 680 I considered put the 200LX up for bid on eBay but could not go through with it. Were it not for a few conveniences that the Jornada offers over the 200LX I would go back in a heartbeat. There is still not a PDA that is a better value than the HP200LX. It will tolerate physical abuse that would kill any current PDA and show no cosmetic or functional defect. The DOS software it can run will provide at a minimum the basic functionality most would need. And, to use some common business terminology, its total cost of ownership beats everyone else easily. Thus one may ask why I’m not still using my 200LX. I’m trying by using a program called PocketDOS which emulates the 200LX fairly well. WEBSITE: Clinton Fitch.com John Ottini’s MDict review is now online at Clinton Fitch.com. As always its an excellent review. EDITORIAL: I miss my HP100LX I miss my HP100LX. Well, I don't miss it too terribly much -- I still have it, keep fresh batteries in it, and use it on a regular basis.Every once in a while, I wonder why I'm holding onto a relatively bulky, incredibly outdated PDA. For those of you not familiar with the 100LX, it's a DOS-compatible PDA released in 1993. It runs on two AA batteries. It's a clamshell design, with a full QWERTY keyboard. It came with 1MB of storage, a PCMCIA slot, a serial port, an IR port, and built-in calendar, spreadsheet (Lotus 1-2-3), terminal program, word processor, email client, phonebook, and calculator. It's about the thickness and length of a thin paperback, and about 1/2 the width. So why do I find myself coming back to it? Besides nostalgia (I used to sit in a greek cafe, eating gyros, running simulated annealing models in Lotus 1-2-3 for my Master's thesis), I find it has properties that are lacking in today's hardware. First, batteries. I appreciate the utility of rechargeable batteries, but nothing beats the convenience of removeable, replaceable batteries. For this same reason, I still have my Palm III. They last weeks, not the days or hours of a typical rechargeable in one of today's handhelds, and I can carry extras in my pocket. Second, keyboard. I'm also an avowed Danger HipTop user, and I've come to appreciate having a full, if not full-sized keyboard in standard QWERTY layout (this is also why I own a Clie NX70V). There are many things one can do with Graffiti, but for some applications (notetaking, using a terminal emulator, entering email addresses and URLs) a keyboard, is still the best method I've found. I'm no Grafitti slouch, having used it since the days of my Pilot III (after untraining the habits I'd learned from my Apple Newton), but the keyboard is still faster for me when entering long stretches of text, or text filled with nonstandard characters. Third, simplicity. Sure, I can run many MS-DOS programs on the 100LX. But the thing I really appreciate about this aspect of the 100LX is that it contains just what I need, application-wise. No more, no less. This is an area where Palm also got things right. Thankfully, they still seem willing to shun bells and whistles for streamlined functionality. Fourth, task-appropriateness. As a systems administrator, being able to interface my devices with others is important to me. The ability to connect a serial cable between my PDA and, say, a Cisco router or balky Sun server is a godsend. Again, I keep my Palm III around for this purpose as well, though the 100LX wins thanks to the built-in keyboard. Finally, ruggedness/durability. My 100LX has been through hell: grad school, trips to Germany, multiple work excursions to Arecibo National Observatory in the karsts of Puerto Rico, under floors in power company server rooms. It's been bumped, beaten, sat upon, kicked, dropped, dipped, eaten off of, poked, prodded, shocked, buried, unearthed, and generally abused. Not only does it keep working, but it barely exhibits signs of wear. I wouldn't dare try this with my Clie or Palm. The 100LX keeps finding its way into my hands because HP got quite a few things right with the design. Sure, it's bulky. It doesn't play MP3s. I can't watch movies on it. It doesn't have a color screen or make spiffy noises. But it works. It works well. And it's done so for over 10 years. Today's PDA manufacturers could learn a few things from PDAs past. Received this email this morning from Phatware, you can make up your own minds :-(- "PhatWare Corp. announced today the availability of PhatNotes (formerly HPC Notes) Lite, Standard, Professional and Palm OS Editions, an award-winning notes organizer for Microsoft Windows-powered Pocket PCs, Desktop PCs, and Palm OS devices. * PhatNotes no longer supports Microsoft Windows Mobile Powered Handheld PCs"
Thanks to the enthusiasm I have found on this site for the Handheld PC platform I am now almost a couple hundred dollars poorer:) I love using keyboards with my PDAs, I have the iPAQ 4350 and had the UX50, but found they are really only good for short documents. I was looking for something to allow me to write longer documents without shelling out big bucks for a laptop that takes a couple minutes to start up. As I posted earlier, I was thinking of a Jornada 720, but that is out of my current price range without ever even holding a Handheld PC. I narrowed my search down to a Jornada 680 and a NEC Mobile Pro 780. I went for the 780 from Used Handhelds.com due to the larger keyboard and display, faster processor, and larger memory capacity. It should arrive by Wednesday afternoon and I cannot wait to check it out. I am holding a demonstration/lecture on mobile devices for my company on Thursday and can't wait to see their reactions to some of the gadgets I will be showing off. I think the Handheld PC will be popular as we have many people who travel and would like mobile data access. By the way, does anyone know of a Bluetooth CF or PC card that works with the NEC 780? If not, I will try using the IR port on my Nokia 3650 to connect to the T-Mobile network. Thanks for your assistance Sammy and keep chugging along with the site. Besides 2 desktop computers and two notebooks my most used private machine is my Jornada 720 (I'm talking about everyday ordinary use because synchronization of my e-mails and tasks at job). For me, notebooks are too heavy. Battery life is better than any notebook and touch screen is great for communication with machine. I use it for job, for organizing my everyday life , for games, as music player and as a photo album. Not to mention great voice recorder. For me it is still better than new PDAs because integrated keyboard and CF and PCMCIA slots. And it is very reliable machine! "The MobilePro 770 H/PC Professional PC Companion is a complete productivity solution in a package so thin and so light that it can go with you practically anywhere. Whether as a communications platform, productivity station or presentation tool, the MobilePro 770 is a pleasure to use thanks to its touch-typeable keyboard (one of the largest available on an H/PC) and generously sized display. Big enough to view the full width of many documents and web pages, the 8.1" diagonal touchscreen displays approximately 4,000 dazzling colors at half-VGA (640 x 240) resolution. Powered by Microsoft™ Windows™ CE, Handheld PC Professional Edition, the MobilePro 770 incorporates pre-installed Pocket versions of the applications you need most - email, word processing, spreadsheets, presentations, personal information manager (PIM) and more. The integrated 56Kbps V.90 modem helps you to keep in touch while on the road. And back at the office, you can easily synchronize your MobilePro 770 with your desktop or notebook PC"
I don't have a Handheld PC, but have been seriously considering selling some of my PDA and gadget gear to pick one up on ebay. I have been beta testing the Pocket PC version of PlanMaker and think that having TextMaker and PlanMaker on a Handheld PC could satisfy my mobile computing needs without requiring a laptop. I tested a Tablet PC for our site and while it is quite mobile, it is still too big to really carry around everywhere. I now see that PlanMaker requires an ARM processor Handheld PC and thus it looks like I would have to come up with $500 plus to get a device with this processor. It seems like the Jornada 720 series is the best Handheld PC with an ARM processor, but I don't know anyone with one and haven't actually gotten to hold and try one out. I am thinking of buying something from Usedhandhelds.com since they have a nice 30 day return no-questions asked policy. Decisions, decisions, decisions. Why oh why has HP abandoned this form of device? I have been trying for months to find a new one after my HP Jornada 720 died--keyboard stopped working and seems prohibitive to repair. I have a laptop, a tablet PC, oodles of desktops, a couple of HP IPAQ style devices but nothing comes close to the form and functionality of the HP 720/8 series. Screen could have been a little brighter, processor could have been a little faster but all this was possible. What was great was in the inbuilt modem, PCMCIA card and CF card slots. The little device was instantly "on" with the touch of a button (benefit over laptop) and with a 1Gb CF card and a Toshiba 5Gb HDD in PCMCIA format--had tons of storage. How could a gaming pocket form device compare with that? For business users, the idea of a foldout keyboard and a stand for a pocket device is absurd. If the HP Jornada 720/8 form simply had a GPRS phone card installed, in my book it would be the best "convergent" device imaginable. Better than the Nokia traveller! Why do we seem to be going backwards? I am a UK GP (General medical practitioner) and we are trying to find a way to collect house call data "out of hours" to update the national databases. If we could find the HP Jornada 728 still it would be perfect for the job--and there seems to be nothing else around half suitable with a keyboard attached. Lamentable. But one for me would go down a treat! Over the years, I have owned and used an HP200LX, Psion Series 5,Series 5mx,Revo, Series 7, MobilePro 790, a series of Palm devices, the Jornada 720, and a couple of PocketPCs, most recently an iPAQ 3970. I have found the J720 to be, by far, the best all round device when one considers power, portability and versatility. My employer provides and supports only PocketPCs, so I've tried to utilize the 3970 as my only PDA. I have found that whenever I attempt to use my 3970 for note taking, outlining, dialing up for email/internet (or any other basic function the J720 handles so well), the PocketPC falls woefully short. For my purposes, it serves as an organizer on steroids. Some of the features, such as size, the nice screen, and good handwriting recognition via Calligrapher, keep me attempting to use the unit as my sole device. However, I keep coming back to the 720. Even with my big fingers, I can type more quickly on the 720 than Calligrapher can recognize my writing in the iPAQ. It's unfortunate that the platform has been essentially abandoned. Were it not for sites such as Handheld Addict, Handheld Attitude and others, I most likely would have mothballed (or sold) my Jornada some time ago. Perhaps evidence of a thriving user community will cause the powers that be to raise the platform from the ashes. WEBSITE ROUND-UP: Lets take a quick look at the news today. In my opinion the most up to date website with software news has to be Handheld Attitude, its updated daily and always has some great information to keep all HPC users happy. Amongst the software updates include Games - Emulator - MorphGear updated, Games - Emulator - PocketScumm updated, Leisure - Ebook - ?Book updated, Miscellaneous - Finance - FIS-WinCE Suite updated, Miscellaneous - Finance - pFXCalc updated. As ever visit the website at http://www.yetanotherhomepage.com/j7xx/j7xx.html Another site thats updated weekly or so is Handheld Zone, although not in English (Spanish based) there is a translation service (use this link, although this is not the best translation service sometimes you have to do a little guess work with the sentances but for the most you get the gist of what is being published.). This week they talk about the FM201 radio card and getting it to work on the HPC, however, this one works if you have a PCMCIA-CF adapter, so if you do not have one of these then it will not work as you will need it to plug into your HPC. As ever do read the excellent Laridian Pocket Bible 2.021 review on Clinton Fitch.com which is an excellent review. EDITORIAL: Can the price of a HPC really be this low? This from Clinton Fitch / Clinton Fitch.com - "On February 29, 2004 my one and only H/PC died. I'm not in a position to purchase another one at this time meaning that unless there is intervention for you the H/PC community, I will have little choice but to shutter Clinton Fitch (Dot) Com! If you are interested in helping me purchase a replacement (new or used) H/PC and keeping the reviews going that so many of you read each day, please contact me and I will gladly let you know how to help." If in anyway you can help them may I urge you to write to him. Clinton has been a great ambassodor for the community for some time and provides some great software reviews and is often a place that I go to when I want to purchase or download software to see whether Clinton (or John) has done a review. So take a moment to consider Clinton's request and then give it consideration. Send him an email if you can help. SOFTWARE: FIS releases pFXcalc - Currency Calculator (ver 4.1) pFXcalc is a foreign exchange (FX) calculator allowing users to determine and manage all their FX currency and travelers checks conversions. pFXcalc (ver 4.1) supports Internet update as well as manual update of exchange rates and allows previous FX calculations to be modified without the need to re-enter the inputs again. I've been using my Jornada 720 for 4 years now and I have to say its been the best most reliable Handheld PC I've ever owned. Even though outdated I still get a lots of oohs and aahhs with it. Its my constant companion. One pastor was so overwhelmed when I demonstrated how I used mine that he gave me $700 on the spot for me to get him one too. I've been looking for a TRUE HPC for just a few months, searching the web, looking at user group postings, etc. and even with that little amount of effort, I feel that I'm not going to be rewarded in the near future. Above all a true HPC would be first a COMPUTER, with a real, professional, compatiible fully functional operatiing system like Windows XP so that real business or other commonly avalible softeware could be easily loaded and run. It should have a largesh (7"?? ), high quality, bright screen, WiFi and Bluetooth connectivity, USB ports, storage that can be accessed as a mass storage device by a laptop/desktop, fast (e.g 1 GHz)), enough memory to run any standard business application and a REAL KEYBOARD. When I saw some preannouncement blurbs about the :Vulcan" HPC, I thought this was going to be it, but that has been morphed somewhat into a downsized version called "FlipStart", which has a thumbboard which they actually state is good for "quick accessibility for those times you're on the go (e.g., while standing or walking)" - sounds like an accident waiting to happen for me. Of course, you can always add an optional wireless or USB connectible keyboard for serious work, but that kind of defeats the purpose of a single compact device. Being affordable would be a great treat as well. This happened in early June 2001. I was on a boatcruise with four of my friends (one from USA). We stopped to walk and eat on a island about 10 miles from Finland's coast. My american friend took some pictures with his digital camera and he got a very picture from me while I was talking to phone beside the boat. And by the way, the boat's name is "Never Mind". So we decided to do a little practical joke to our mutual friend in the US. I borrowed the CF card from the digital camera, put it in my Jornada J720, browsed the photo and copied it to Jornada. Then I placed in the Nokia Phone card, connected to InterNet and send the picture in email with a story about my good fortune along with the picture. So in 10 minutes after the photo was taken, I had edited it with Pocket Artist, contacted the InterNet via the Nokia Card Phone, and sent the picture as an email attachment with Pocket Outlook. And all this basically from middle of nowhere. Why on earth would you want one of those? One of the major issues people have with pocketpc's, handhelds, smartphones and the likes, is that they consider them gadgets. And as gadgets are, there is no need to take them seriously, let alone the idiots who buy them. But of course there is a growing number of people who start to realize that those idiots are no idiots at all, but just the scouts who were sent ahead to scan the region. We are the early adopters who spend their well-earned cash in property of which we see the life enhancing benefits. We are the breed of people with inmagination, the visionaries so to speak. But I am willing to bet you, that we have a shorter life span than the average Joe. Just because there is so much to get agitated about. It has been since long that I get frustrated by the shortsightedness of "the rest of them". The one thing that bothers me, is absence of peripherals and accessories. Back then, the dream PocketPC machine was the Casio Cassiopeia E200. The sleeves though, with the extra battery life, PC-card adapter and USB Host option, were nowhere to be detected. Quality became an appearent issue, so finally nobody looked for those add-ons anymore, but that's a sidestep. The Jornada 7 series, is a beautiful machine. Great specs. But here in Holland, it took me a week to figure out that there were only two official partners left, who sold extras against prices I had never thought of. What is it that you do the most with a handheld? Right mobile computing. What is it, that makes mobile computing possible? Right, battery redundancy. Why not make a price range for peripherals that makes our lives easier, our wallets less empty, and our brand faithfulness more secure than they do now? We are early adopters, yes. But are we big spenders without limits? Appearently so. My girlfriend regularly asks me, what I do with all that "stuff". Obviously she is "one of the others". I don't blame here. With the prices of those peripherals I even understand here second thoughts on my sanity. But to fully grasp the virtues of mobility, you need to have all the peripherals that can make that happen. What is a handheld without wireless but a tiny typewriter with a screen? What is a PocketPC without communication options but a dumb but too expensive Filofax? You simply need the extras. I need the extra battery, the wireless, the GPRS in my SX45i and therefor a GPRS subscription. I need the landware keyboard, I need the... and on and on and on. Iam hopeless. A visionary has a hard life, full of frustrations. And the occasional satisfaction of a proper setup, at the right moment in the right place when IT happens: the looks on some of their faces when they suddenly break through the clouds and see what is realy there: the future. Than they don't see my geekiness, they don't see gadgets, but just life the way it should and will be. Once those numbers rise, the prices of those peripherals will drop and I can stop being a tormented visionary and become a happy camper, on line and on the road; always. EDITORIAL: The HPC is a great device but could there be ways to make it better? I can't help but wonder if the rumours about an updated HPC OS are not accurate. All of us here _want_ it to be true but I don't think it is going to happen. I think there were a few things that led to the cessation of the HPC OS development: price, software, and platform. The initial units (with decent screens) were priced WAY too high with some units being as much as $1500. This is just too much for what is essentially an extension of a desktop, not a replacement. The amount of software wasn’t too bad but obviously nowhere near what the PocketPC has, and had at launch. The platform had quite a few problems until HPC 2000 finally came along. There were major problems with memory leaks and general stability. Hey, I still use and love my IBM z50 (WinCE 2.11) but can see that each time I start and end a program more of the RAM disappears until I reset. My point is that the large manufacturers are not going to aggressively launch new units unless these old concerns are met and there seems to be more people interested in, and /_asking_/ for the platform. Here is how it -may_ happen. The next version of PocketPC (Windows Mobile) will allow manufacturers to create HPC’s as well!! This does NOT mean there will be a new OS _just_ for HPC but rather the ability to create an HPC using the new Windows Mobile. This makes a LOT of sense and we can see that it is possible by looking at the Motorola MPx coming out this year. The new OS will allow for landscape and higher resolution…just like the HPC! The problem MS faced before was maintaining two OS’s for the two platforms. With the new WM they will be able to just use the one. This will probably make the licensing costs lower for manufacturers, which will help them keep costs down. They will also be able to use the same components and processes currently being used (or about to the used for the new devices) to keep costs down, just need a new shell and screen (over simplified, but you get the idea). With the HPC being able to run all of the software being written for the new WM there is a LOT more choice and flexibility which will make this platform a lot more appealing to users. Obviously, there has already been big changes to the current WM so stability is not an issue anymore and will probably get better with each revision. Again, I don’t think we will see a new OS for HPC’s but rather WM devices that happen to be in an HPC format. I personally would MUCH rather see this and it seems to make sense for manufacturers as well. WEBSITE: Update on Handheld Attitude today includes - Comms - Chat - Microsoft Portrait updated, Comms - Remote - IrDa Remote Control II updated. I have been in communication again with the people at softmaker regarding the upcoming planmaker spreadsheet program. They previously let me know that they were going to make it available only for arm processors, but they did get back to me when I commented that I believe there are many of us who would pay for a solid spreadsheet program on the mips processor. If they hear from enough people, I’m sure they will think it is worth their time to fight with difficult compilers, as the one for Mips seems to be. Hello, maybe we will do a test build to see how good (or bad) the compilers work, but as it seems we will only support ARM processors." Geoff deJong wrote: "Thanks for letting me know about the textmaker update, it really helps knowing that your company remains committed to improving your already excellent products. I'm not at all knowledgeable about your compilers but I have to admit hoping you will consider doing a MIPS version of planmaker eventually, as there are still many faithful mobilepro and intermec users who have only these devices. I for one! I can safely say that if you ever decide to offer it for MIPS, I'll buy it! Thanks again though for great products, keep up the good work! It does pay to communicate with these companies, and they will continue to serve our needs if we let them know what we want! So let them know! PlanMaker 2004, the Microsoft Excel-compatible spreadsheet from German software manufacturer SoftMaker, is nearing completion: The public beta test has started today, and anybody can download the free beta version from the manufacturer's web site. The beta version of PlanMaker for Windows is available immediately, while beta releases for the other supported operating systems will follow in the coming weeks. PlanMaker offers the feature set and ease-of-use of a modern high-end spreadsheet application - not only under Windows, but also under Linux and on Pocket PCs and Windows CE- and CE.NET- based Handheld PCs. This means that PlanMaker is the only spreadsheet worldwide that is available for four different popular operating systems and offers the same feature set on all of them. One of the major design goals in PlanMaker's three years of development was the seamless conversion of Microsoft Excel files. PlanMaker reads and writes any file from Microsoft Excel 5.0, 95, 97, 2000, Excel XP, and Excel 2003, and renders all of them faithfully. PlanMaker not only offers a vast collection of more than 320 calculation functions - including support for complex numbers, statistics, financial maths, and data analysis - but also enables the user to create attractive presentations by providing a fully Excel-compatible AutoShapes drawing engine (on all platforms, even Linux and Pocket PCs!) and a fully Microsoft Excel-compatible charting module that offers 70 different chart types in 2D and 3D - color gradients, fill patterns, rotation in space and trend lines included. PlanMaker carries a suggested retail price of US$49.95 or EUR 49.95 and will be available through resellers and directly from SoftMaker. Constraint of the Cabinet of the Display.